International Institute of Hotel Management (IIHM) is a private Institute, established in 1994 as a part of Indi-Smart Group. 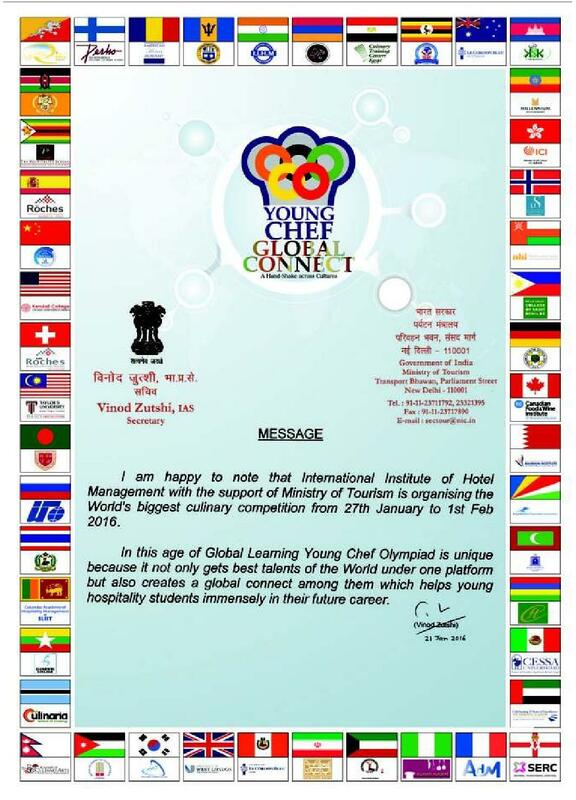 IIHM has been approved by AICTE. Having International Tie-ups with University of West London or KBU University, universities and institutes in the USA, Australia, Mauritius, Middle East and South East Asian countries. The Institute provides Certification in Wine Studies by WSET, Wine and Spirit Education Trust (UK). 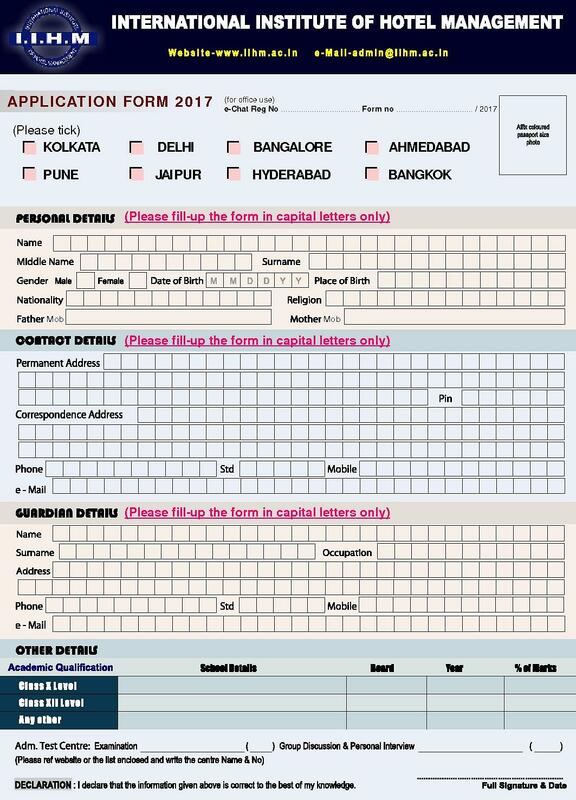 The applicant must have completed class 10+2 examination or its equivalent with English as one of the main Subjects. 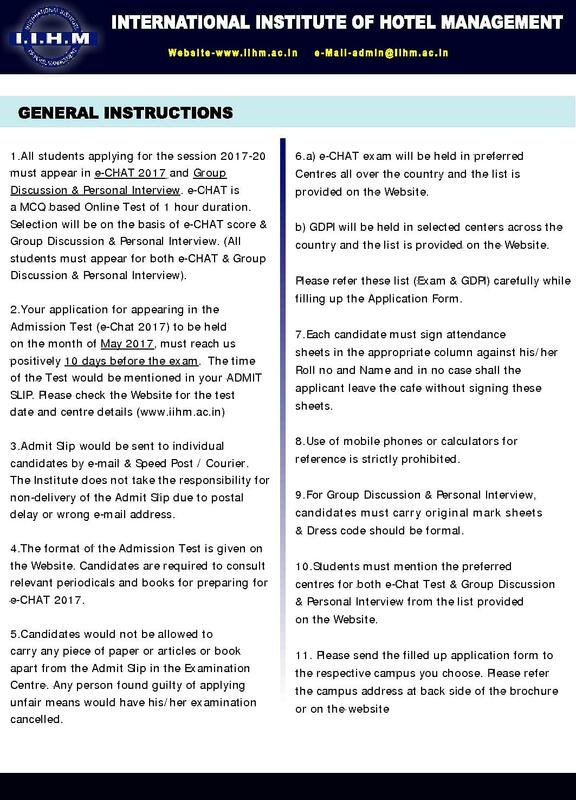 Applicant appearing in class 10+2 examination or its equivalent can also appear in E-CHAT followed by Group Discussion & Personal Interview. Note – For 3 Years B.A. 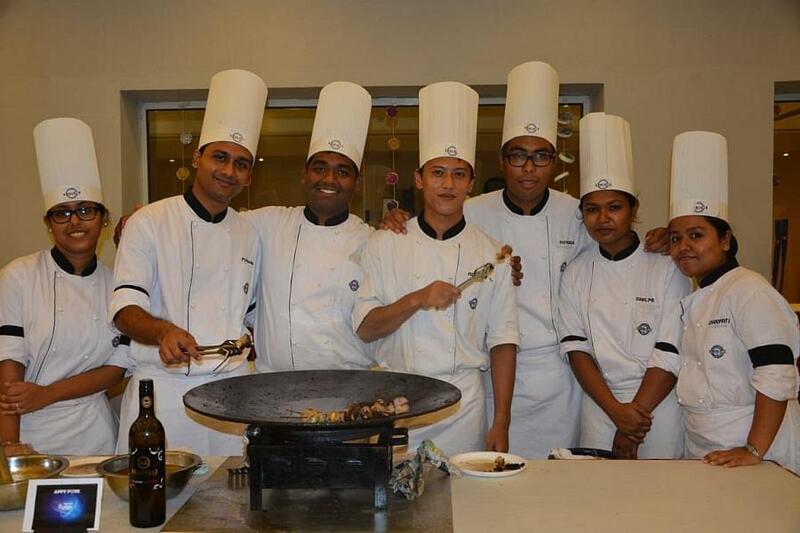 programme candidate can opt either IIHM India Campus or at UWL, London, UK with 12 months work Placements in the UK. The Institute offers On-campus placements to the Students in the reputed and well-known Brands. Over 5000 IIH-Mites are placed in the last 21 years in the UK, Canada, Australia, and the USA. Placements are provided in the Global Hotel and Hospitality / Airline Industry like - Hyatt Group, Marriott, Taj Group, Le Meridien, InterContinental, Oberoi Group, ITC Hotels and many more. International Industrial Training at USA, France, Middle East, Malaysia, Singapore, China, Maldives, Mauritius and more are being provided by the Institute. 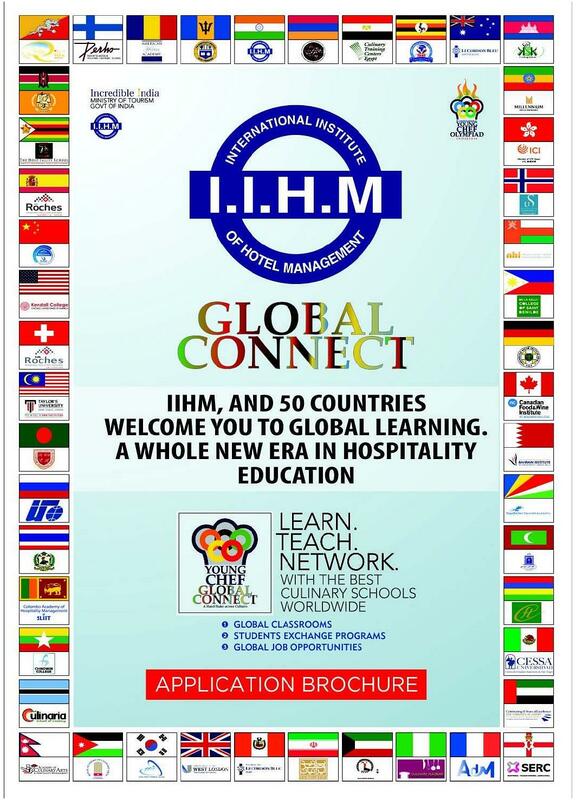 IIHM has signed MOUs with top colleges of 17 different countries for student and staff exchange in the field of learning and global networking. 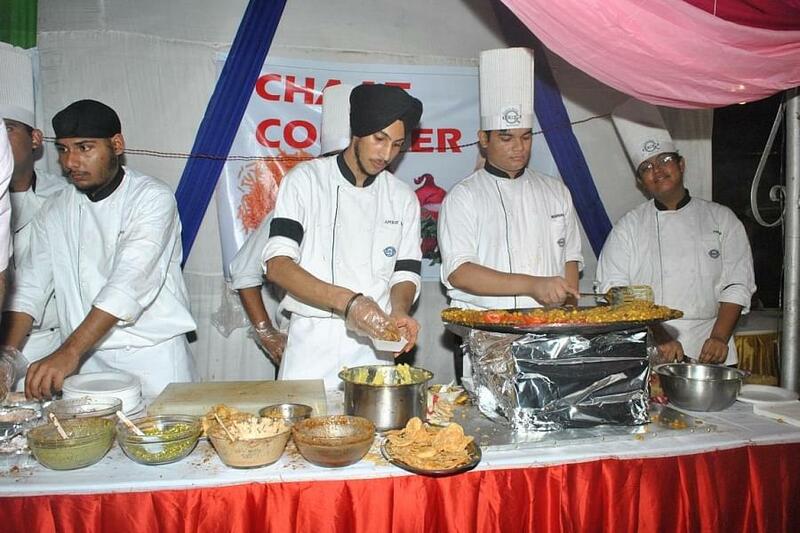 Overall the college is very good for who want to start future hospitality industry. The recent government policy of reservation may have detoriated the quality but the college in itself is great. Very helpful even after passing out. 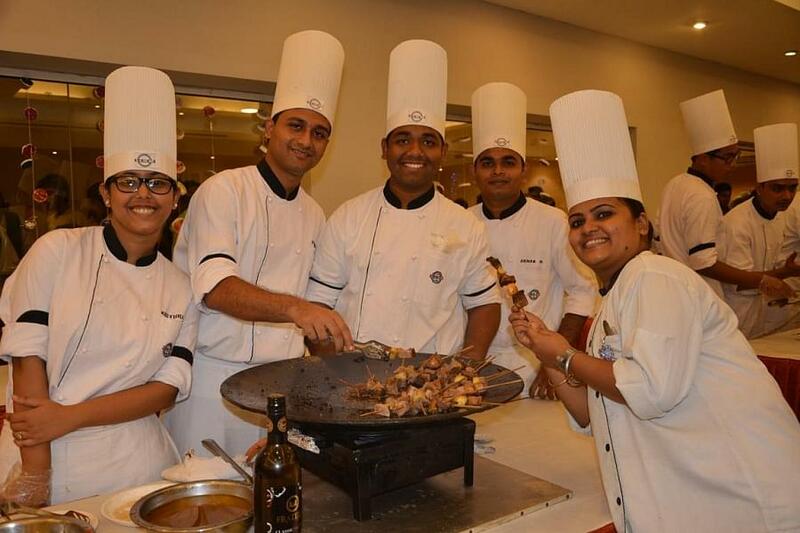 With world class infrastructure and great faculty members, IIHM offers program to create world class hospitality leaders. No as such bad remarks i had and most importantly i'm the 3rd highest scorer in 2014 from iihm all the faculties love me less or more the most important thing is that i'm very much responsible about every activities for my college. International Institute of Hotel Management is one of the best Hotel Management college in India which offers great job opportunities. Hi Sir, You may please contact to the college for getting the relevant information about the admission detail. I WANT TO GET SOME INFORMATION ABOUT THE COURSES OFFERED. Any other course like college internal exams, and i scored 36/50 , because it is the no 1 college in eastern India. "One of the Best Hotel Management Institute in India"
I took CHAT (Common Hospitality Admission Test) followed by interview and scored 82%. I opted for this institute because it is one of the best institutes in India. 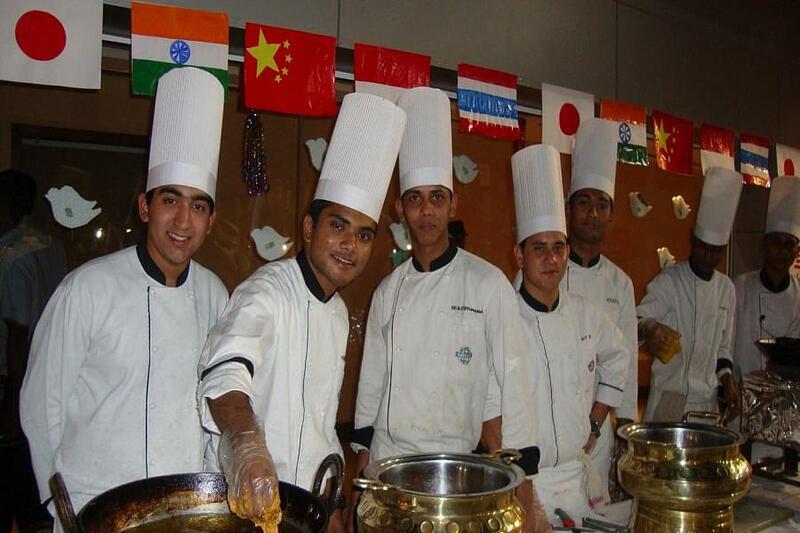 IIHM gives international learning and working opportunities. I took the entrance test for international institute of hotel management after which I faced a group discussion and personal interview round. I cleared all the rounds after which I received an approval letter one week later. This was the only college I applied to as I had heard very good reviews about the college. Also it was a private institute which makes it a notch above the government institute institute of hotel management (ihm).Besides this iihm also Gives us option of going abroad for international training, which is better exposure.